We are often bombarded with news about disasters constantly reminding us that unprecedented events in the name of – tough economic times; natural calamities; drastic weather changes – can happen. If you’re strapped for time, check out my favorite 5-Day Food Supply Survival Kit at Amazon. 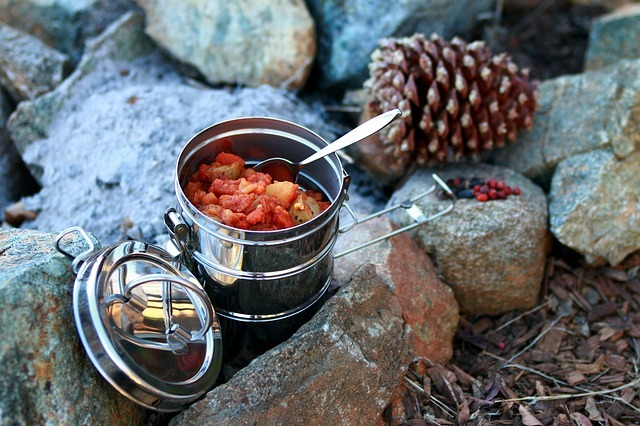 Well, here’s the big question “Are we adequately prepared to handle such situations?” In this survival food list article we are going to bring you up to speed with some basic foods that are paramount to triumphing over survival times. Survival Food List After Water What Is The Next Important Source of Nutrients For Survivalists? When fresh foods are not readily available, canned varieties can come in handy in providing you with essential nutrients. Choose cereals that are specially packed in such a way that they don’t spoil just a couple of days after opening. These highly portable snacks are known to have quite long shelf life. Plus they are excellent sources of protein which is quite essential for triumphing over tough times. Peanut butter is a well known source of energy especially as it contains healthy doses of fats and protein. The best thing about peanut butter is that you don’t need to refrigerate it after opening and unless the jar states otherwise, you needn’t worry much about storing it. Disaster times are fresh food shortage times which otherwise means no fresh fruits. Given the crucial role that fruits play in our life, you may consider having a couple of dried fruits around for that much needed dose of vitamins and fibre during survival. Nuts are packed with energy and are very convenient for snacking. Look for varieties that are vacuum-packed as they tend to last and sustain freshness for longer. Whole-wheat crackers are yet another class of foods that shouldn’t miss out in your survival food list. They are a perfect replacement for bread due to their relatively high fiber and fat content. Note: Whole-wheat crackers, unlike their plain siblings, have a short shelf life. Consider storing them in vacuum packs to prolong their usefulness. Since almost all dairy products require refrigeration storing for tough times may not be a wise thing to do. Consider substituting them with powdered milk. It contains pretty much similar benefits to those found in fresh products and what’s more? It’s easy to store. If you have access to a cooking stove, you may do some cooking. In that case, be sure to have a reliable supply of these two very basic flavoring commodities. Alongside taking sufficient water, it is recommended that you drink sports drink. Well, sports drinks are rich in carbs and electrolytes that help replenish your energy and boost your chances of survival. Other foods that contain good nutrients and are relatively easy to store in readiness for tough times include: honey, wheat berries, dehydrated cheese, frozen butter, liquid vegetable oils and corn flour. Bullion cubes, white flour pasta, sprouting alfalfa, canned seafood, herbal and black teas and sauerkraut are also great additions to any food pack for survival. Check out this done-for-you 5 Day Food Survival Kit at Amazon. That’s it – the full list of foods that you really need to have in your bunker to survival through challenging times. All the best!